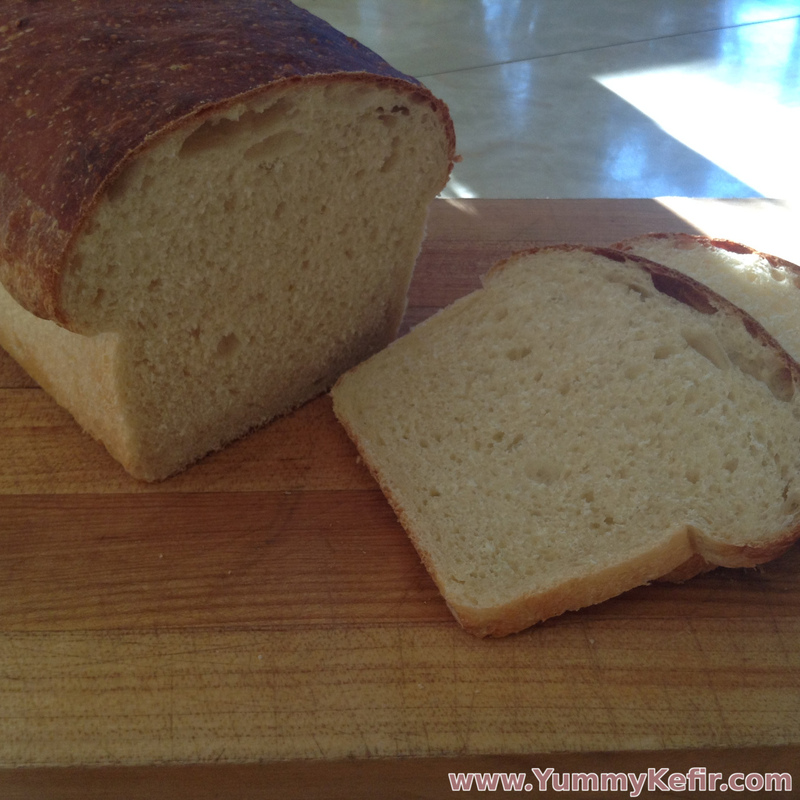 Enjoy a healthful and delicious sourdough kefir bread. This recipe makes a beautiful loaf that can be used to make sandwiches, toast or just enjoyed warm with a dollop of butter. This recipe is easily doubled, tripled or quadrupled to fit your needs. Mix together the sourdough starter, milk kefir and water. Start with 1/3 cup, as you mix the dough you can add more if the dough is too dry. Add in the salt and sugar and mix again. Add in the rest of the ingredients and combine. Add enough water to make a sticky dough that pools slowly outward from itself. Let the dough sit covered for at least 3 hours. Optionally, let the dough sit overnight. After 3 hours have passed, shape the loaf and place it in a greased loaf pan. Let the dough sit until it has doubled in size, around 4 hours. Bake in a preheated oven at 425° Fahrenheit for 20-25 minutes. The top should be a deep brown color but not scorched. Remove the bread from the loaf pan and let cool on a rack. The longer the dough sits, the more sour it will become. Tailor the ferment time to suit the type of bread you want to eat. 7 hours produces a mild, barely sour bread, whereas an overnight rise can yield a bread with a bit of tang. To sour the bread further, refrigerate the dough 1-2 days before baking.